Amongst all the types of damage to property, none will be as common yet destructive as water damage. From the leak inside a basement to a broken line attached to a home appliance, water damage could hit quietly or aggressively. No matter, the water damage also brings structural damage, deterioration of your possessions, and when left unchecked can produce an ideal atmosphere for mold to grow. The real key to minimizing the impact of water damage is always to react quickly. At Pro Team Cleaning and Restoration, we know that, and that's why our staff is available 24 hours to respond to your call. We can be there within just 45 minutes of your phone call prepared to get to work. You can depend on the technicians at Pro Team to manage your emergency flood situation and get your home or business back to normal life. If your home or business has experienced recent flooding than give us a call now! 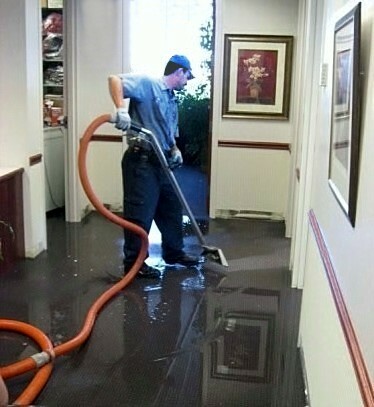 Our water damage services are available 24 hours a day 7 days a week.